A: I'm not a fan of love triangles, unless they're done well. I guess the worst thing, for me, is monotonous writing. He said. She said. He did. She did. Descriptions of absolutely useless scenarios (ala Bella eating her cereal). Unrealistic dialogue...that might be the worst. Read your stuff, people! Teenagers don't talk like Mr. Darcy...or robots. Unrealistic dialogues! Definitely. And I'm so pissed that I forgot that one. Urgh! 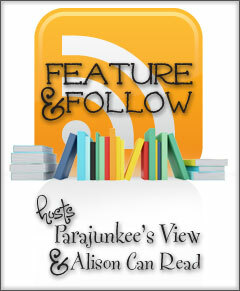 It would be great if you could stop by my Feature and Follow Friday post. We also have an INT PB Giveaway (Murmur Of The Lonely Brook by Debashis Dey) going on, do participate if you like! I couldn't agree more with you.. authors really need to be aware of their readers especially if its a YA book! Useless situations described till the most small details, so annoying! YES! Unrealistic dialogue and monotonous writing! Great answer, I wish I'd thought of those while I was making up my FFF LOL Thanks for sharing, new follower via GFC. I have a Bachelor's in Psychology too! A good point, I agree. Thanks for the comment over at my blog earlier! I've followed you back!